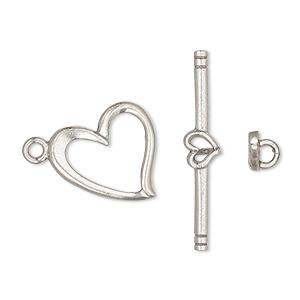 Clasp, toggle, sterling silver, 17x15mm heart. Sold individually. Item Number: H20-8719FN Have a question about this item? Clever and stylish clasps add dramatic flair to your designs. 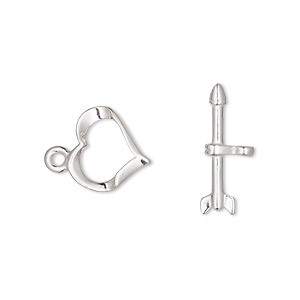 These versatile designer elements are quality manufactured in .925 sterling silver. Clasp, toggle, antiqued sterling silver, 20x18mm heart with filigree pattern. Sold individually. Clasp, JBB Findings, toggle, antiqued sterling silver, 13x11.5mm heart. Sold individually. 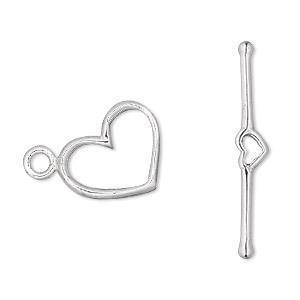 Clasp, toggle, sterling silver, 13x11mm heart with arrow bar. Sold individually. 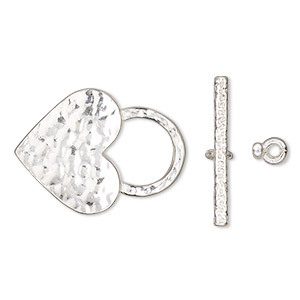 Clasp, toggle, sterling silver, 12x11.5mm heart. Sold individually. 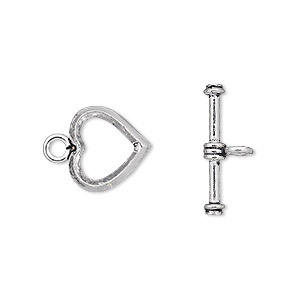 Clasp, toggle, sterling silver, 17x13mm heart, 25mm bar. Sold individually. 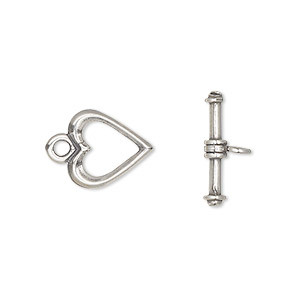 Clasp, toggle, sterling silver, 13x12mm heart. Sold individually. 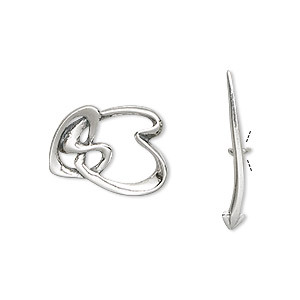 Clasp, toggle, sterling silver, 16x13mm heart. Sold individually. 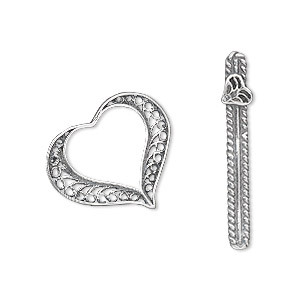 Clasp, toggle, sterling silver, 16x15mm fancy heart. Sold individually. 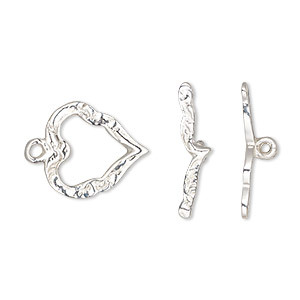 Clasp, JBB Findings, toggle, sterling silver, 18x16mm textured heart. Sold individually. 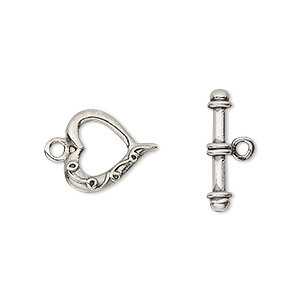 Clasp, toggle, antiqued sterling silver, 13x12mm heart. Sold individually.